The Wake Forest Parks, Recreation & Cultural Resources Department (PRCR) offers athletic programs for boys and girls, ages five and older. The youth athletics participant fee for residents is $60 per player (per season) and $100 per player (per season) for non-residents. Youth athletic leagues participants will register online during the specified registration periods. New participants must provide a copy of the birth certificate in order to be eligible for team placement (mail to WFPRCR, 301 S. Brooks St., Wake Forest, NC 27587). PRCR offers Basketball leagues for boys and girls ages 5-17. Registration is offered throughout September of each year. New participants must provide a copy of the birth certificate in order to be eligible for team placement (mail to WFPRCR, 301 S. Brooks St., Wake Forest, NC 27587). PRCR offers Spring/Summer Leagues for players age 5-17. Registration is held throughout the month of February of each year. New participants must provide a copy of the birth certificate in order to be eligible for team placement (mail to WFPRCR, 301 S. Brooks St., Wake Forest, NC 27587). Dream League baseball is offered for school-aged participants with special needs. Primary staff contact: Kelly Schurtz, 919 556 7093. 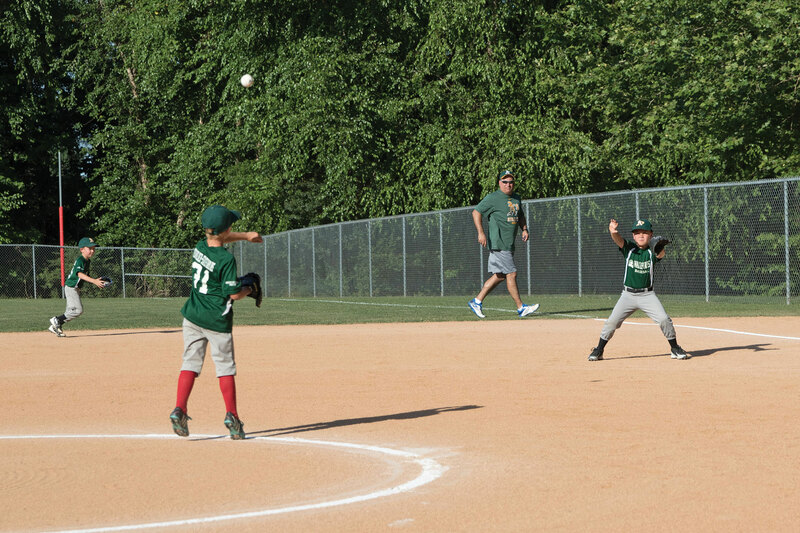 PRCR offers Fall Baseball & Softball Leagues for players age 6-16. Registration is held throughout June of each year. New participants must provide a copy of the birth certificate in order to be eligible for team placement (mail to WFPRCR, 301 S. Brooks St., Wake Forest, NC 27587). BASEBALL BATS: WFPRCR has adopted the USABat requirements for baseball leagues through age 11. If participants choose to provide their own bats, the bat must meet USABat specifications. Baseball bats for players 13 and over must meet current NCHSAA standards (BBCOR). Registration is held annually throughout the month of April, with teams formed in mid-May. PRCR partners with NC Speed Academy to offer an introduction to track and field for youth ages 6-18 (age determined by age on Jan. 1 of the current year). Participants will learn the proper running technique and gain experience in their choice of the following Olympic running events: 100, 200, 400, 800, 1500, 3000 meters. Participants will also have an opportunity to be exposed to hurdles, long jump, shot put, and discus. Leagues, lessons, and clinics are offered by the Wake Forest Area Tennis Association through a partnership agreement with the Wake Forest Parks & Recreation Department.